Hallava Falafel: The Art of Adrien Miller: Functional Ceramic and Glass Pieces. 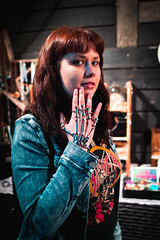 The Nautilus Studio: Assemblage art by Brian White, with Tarot & Palm Reader Raven Belle Zingaro. Miller School of Art: Student show and outdoor public mural painting! Visit our Portrait Drawing booth on Carnival grounds. The Firm: “Better Living Through Stereo”, new work by David Mazak, open until 9 pm. *Mary Tudor & Ferrell: Mary Tudor, abstract elemental painting; Ferrell, abstract atmospheric painting. 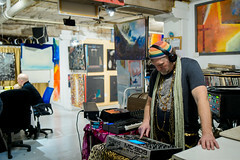 Open studio with Luscious Leopard Lips, DJ and theremin player. *Vecta Photo Studio and Gallery: Members of the Seattle Photography Club will be displaying a number of images by its members. *Georgetown Atelier: Featuring student art, as well as the Draw Attack!! live costume drawing session, 6 – 9 pm, drop-ins welcome. Drawing demo by instructor Tenaya Sims @2 pm. *The Roving Gallery: Featuring the painting and mix media of Denise Chandler Smith, Keli Sim DeRitis and Roxanne Fawcett and the ceramics and jewelry of Janet S. Crawley, with art demos throughout the day. Open 2 pm. A Dog’s Dream: Show of work by Kyle Abernethy and his students, and the art of Jan Tervonen. Mexico City.In this exhibit, she takes us through trip to her university town Cholula, in the State of Puebla, Mexico. ButtonMakers: Make Your Own Button Station: Put whatever you want on a button! Le’ Objects For The Home: “The Art of Creating Terrariums”: will be offering micro classes every hour on the hour. The class will offer step-by-step tricks of the trade on how to create the perfect terrarium for your home. Classes will be taught by Owner Tim De Clue who has an extensive design and horticultural background. * Asterisks indicate spaces inside the Bottling Plant of Sabey. 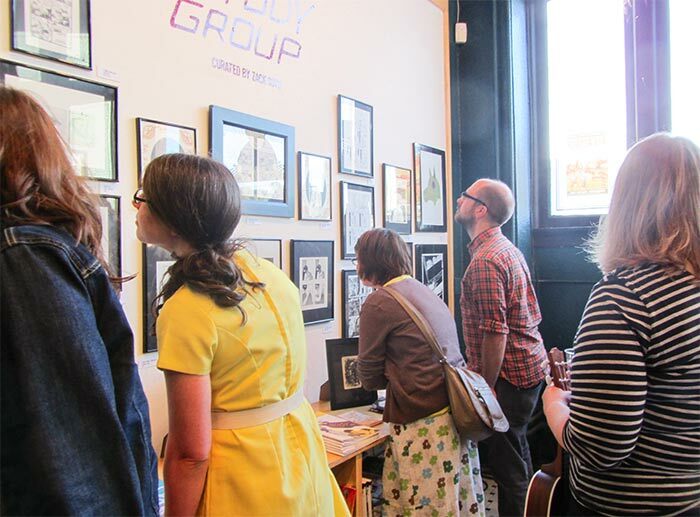 “Study Group: An Exhibition of Emerging Cartoonists”at Fantagraphics Bookstore & Gallery. “In the Moment – A Street Collaborative”, a collection of street photography at Vecta Photo. As well as live music featuring singer songwriter Isaac Pierce from 10-speed music. 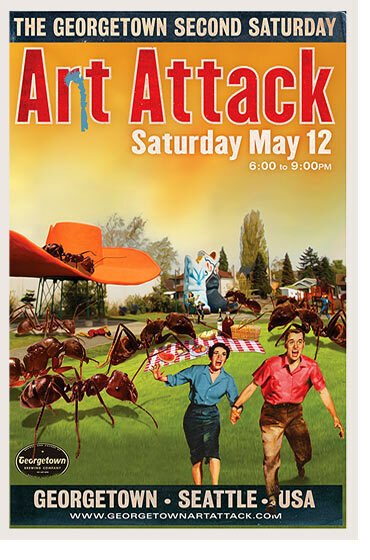 Seattle, WA, May 1, 2012: The weather is almost perfect for an evening picnic in the park, but who really wants to deal with those pesky ants and nagging hay fever? 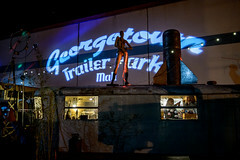 Ditch the blanket and wicker basket and come on down to Georgetown for a delicious bite and brew before strolling down our historic, industrial corridor (or hop onto the Art Ride bus!) to view the neighborhood entertainment and art! 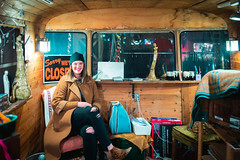 All City Coffee presents “Pocket Photos: Life in the Loupe,” iPhone photography by two mommies on the go, Liz Ophoven and Jena Lacomis Garcia! Calamity Jane’s presents a series of nature paintings by John Smither. 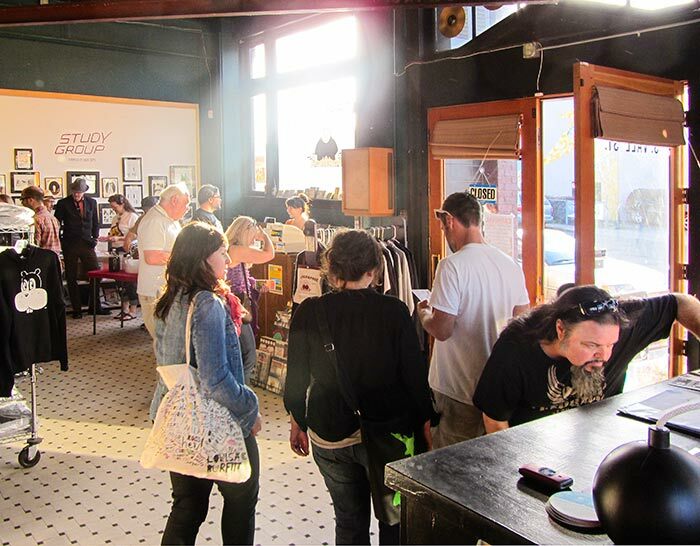 The Equinox, the farthest stop on the Art Ride bus, features a host of artists and artisans. Fantagraphics Bookstore & Gallery hosts “Study Group: An Exhibition of Emerging Cartoonists”, curated by Zack Soto, featuring Aidan Koch, Jennifer Parks, Farel Dalrymple, Kazimir Strzepek, Levon Jihanian, David King, Malachi Ward, Tom Neely, Zack Soto, IanMacEwan, François Vigneault, and more. The Firm presents Better Living Through Stereo, new work from David Mazak. 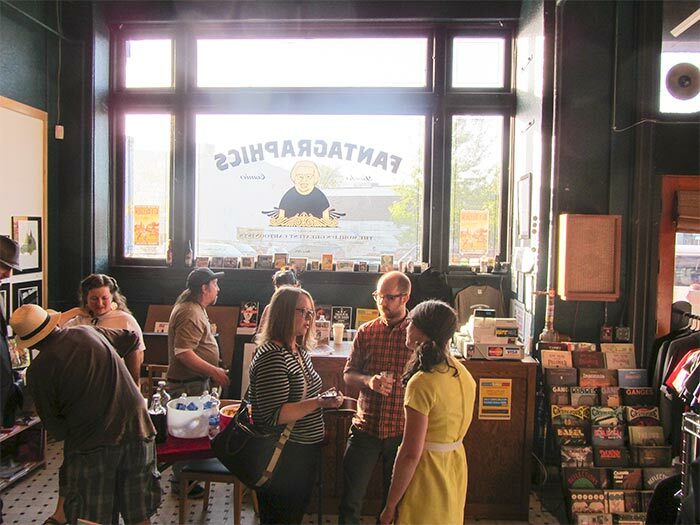 Fonda La Catrina is displaying art by Corey Urlacher, Richard Olmsted, Ian Douglass Ferger and Brandon Bowman. Full Throttle Bottles has Sam Hamrick cards & prints, purses made from pop-tops, and handmade wine charms. Georgetown Atelier hosts Draw Attack!, a life drawing session with a costumed Benjamin Franklin. Student art on display. Georgetown Music Store will have live music gracing the storefront. Georgetown Trailer Park Mall prepares to Kill Evil with Plucky Trailers Full of Local Art, Rare Finds & Live Music by The Sweet Spots! Krab Jab Studio presents watercolors by Margaret Organ-Kean, and a student show of paintings with Brian Snoddy. Art by Mirka Hokkanen, RK Post, and Kyle Abernethy on display. Work by resident artists Julie Baroh, Mark Tedin, Milo Duke also on display. Le’ Objects for the Home will be offering free micro classes every hour on the hour during Art Attack. The class will offer step-by-step tricks of the trade on how to create the perfect vignette for your home and lifestyle. Mary Tudor Studio invites you to her enjoy transformational atmospheric and elemental abstract oil in various sizes. Now accepting credit cards! Miller School of Art hosts a student art show. Nupasa is featuring art by Emilie Shepherd. The Roving Gallery features whimsical acrylic paintings, encaustic art, brightly colored mixed media, silver jewelry and ceramic sculpture. The Stables with have an open house, complete with merriment on its historic grounds. 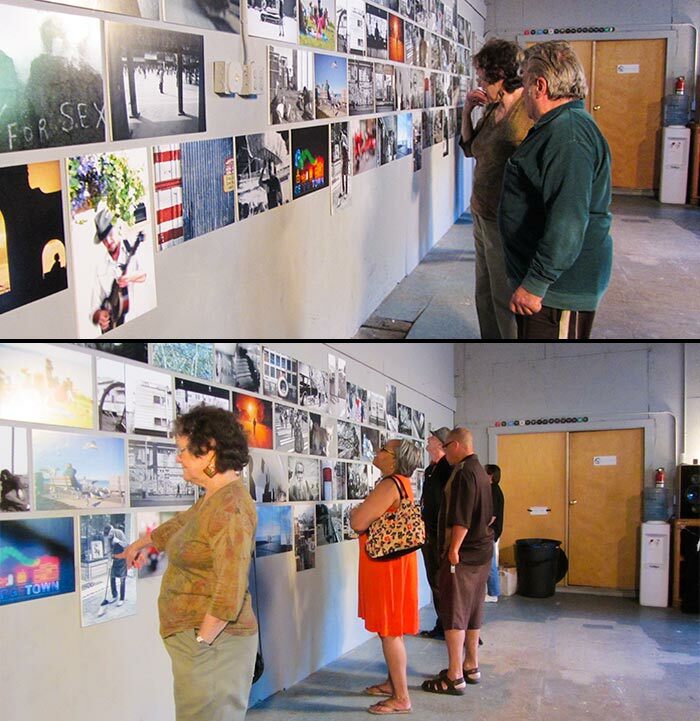 Vecta Photo will be showing “In the Moment – A Street Collaborative”, a collection of street photography.